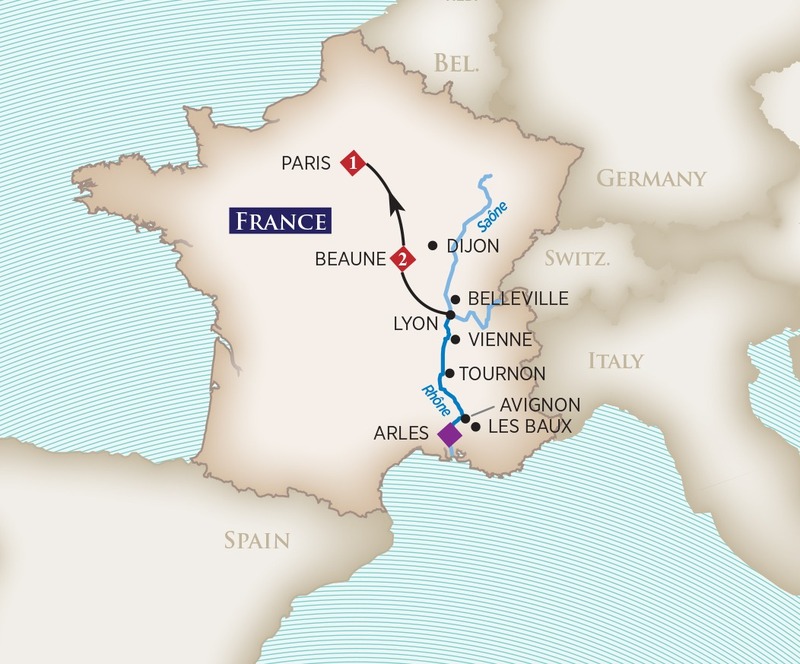 Cruise 7 nights through the Rhone River Valley, a 129-mile journey from start to finish. Within this relatively short distance the scenery transitions from the verdant green French countryside of Lyon, Beaujolais, and Tournon, to the more arid, Mediterranean hillsides of Provence, with the truly Roman cities of Avignon and Arles. The ancient Romans used the Rhone River as a nautical highway to conquer France, planting vineyards on the steep hillsides that produce that today produce the remarkable and highly prized wines of Cotes-du-Rhone, Condrieu, Cote-Rotie and Chateau-Neuf-du-Pape. Visit the UNESCO World Heritage sites of Pont du Gard and Palais des Papes in Avignon, the Coliseum in Arles and historic wineries along the way. Rhone wine varietals and blends include Syrah, Grenache, and Mourvedre. The cuisine here is marvelous and will not disappoint! Lyon is considered the gastronomic capital of France. Join your hosts Bob and Lynette on board the lovely AmaCello, sampling their best wines, paired with regional cuisine. Special events are planned along the way! 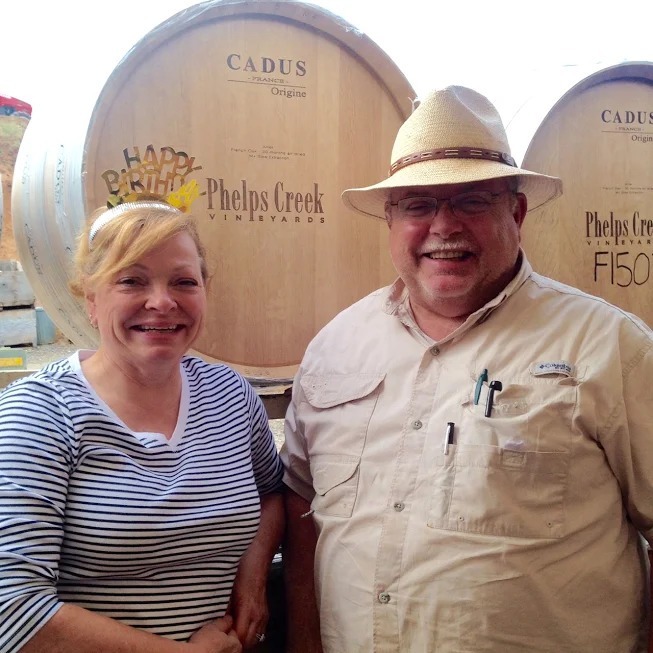 Robert (Bob) Morus is a senior captain with Delta Airlines and founder of Oregon’s Phelps Creek Vineyards. Bob moved to Hood River in 1989 with the expressed goal of raising wine grapes and a family. A first pass found a property seemingly perfect for vines, with steep southern slopes holding a magnificent view of the Hood River Valley. The second visit brought further revelations. The 60 acre property also held a stunning view of Mt. Hood, obscured by clouds during the original tour. Right then he knew his search was over; this site was too special and deserved further, serious exploration. With a heart full of passion, the assistance of an extremely helpful local winegrowing community, Bob’s dream became a reality. Today, the family estate vineyards consist of 34 acres, specializing in Pinot Noir and Chardonnay. In 2007, a young French winemaker from Gevrey-Chambertin toured our vineyard prior to the International Pinot Noir Celebration. Learning a typical harvest in Burgundy seldom conflicts with harvest in the Gorge, Bob pitched Alexandrine Roy about joining our team to craft the coming vintage. Alexandrine continues with our team ever since, making wine both at her Domaine Marc Roy in Burgundy and with Phelps Creek in Oregon. 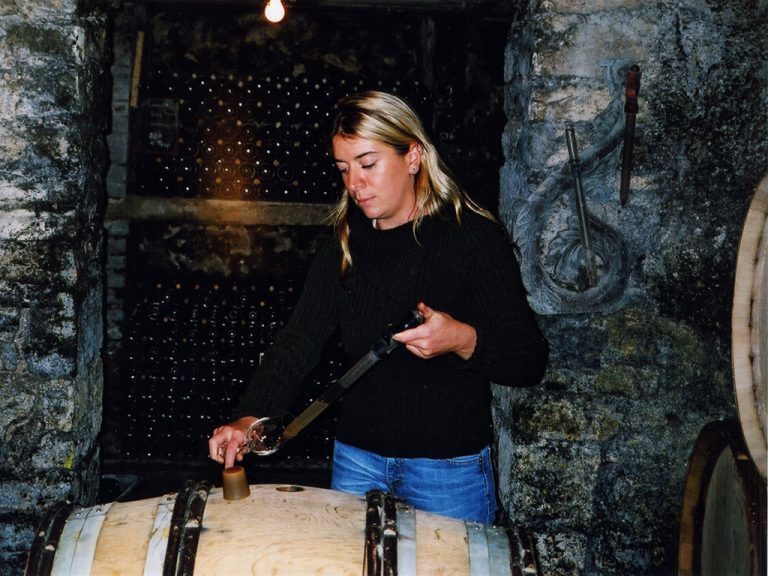 Her three visits each year, impart her expertise of traditional French winemaking technique with the grapes of Phelps Creek Vineyards. Cuvée Alexandrine, a reserve level Pinot Noir, Fleur de Roy, a Rose of Pinot Noir, and most recently “Corduroy“, a gorgeous Pinot Noir Blanc display the signature style of Alexandrine Roy. Join Bob & Lynette Morus on this special voyage through France’s Rhone River Valley. This is an extraordinary river cruise from Arles in Provence north to Lyon. After the cruise disembarkation in Lyon, there is the option to explore the Burgundy region and Paris with Bob & Lynette. Many surprises are in store! Please note: This Rhone River Cruise 2019 (hosted by Phelps Creek Winery) tour and cruise program is created by our tour operator, Expanding Horizons of Tustin, CA in conjunction with AmaWaterways. The pre and/or post cruise tour program may contain private meals, tours and/or visits to attractions. These additional services are exclusive to guests on this cruise who book their reservations with Expanding Horizons. Persons booking with alternative travel agencies will not be included in these activities.